Can drinking pickle juice relieve a muscle cramp? According to some athletes, it can. But is this a fact or is it just fiction? Drinking an ounce or two of pickle juice can stop cramping within about 85 seconds - faster than water alone. The science behind the results indicates that pickle juice works so quickly because it doesn't have time to leave the stomach and thus replenishes electrolytes quickly. Many athletes drink pickle juice before exercise, to help prevent muscle cramps in the first place. Pickle juice has 20 times more sodium and eight times more potassium than your average sports drink. This means that electrolytes in the juice are quite abundant. Running in the Crescent City Classic? Race with Team Ochsner to support our littlest heroes. When performing certain exercises, you may experience cramping caused by muscle fatigue. This is because the nerves that keep muscles from contracting too much begin to malfunction. This is where the pickle juice comes in. Because of the high amount of vinegar in the juice, nerve receptors send signals that stop muscles from malfunctioning. 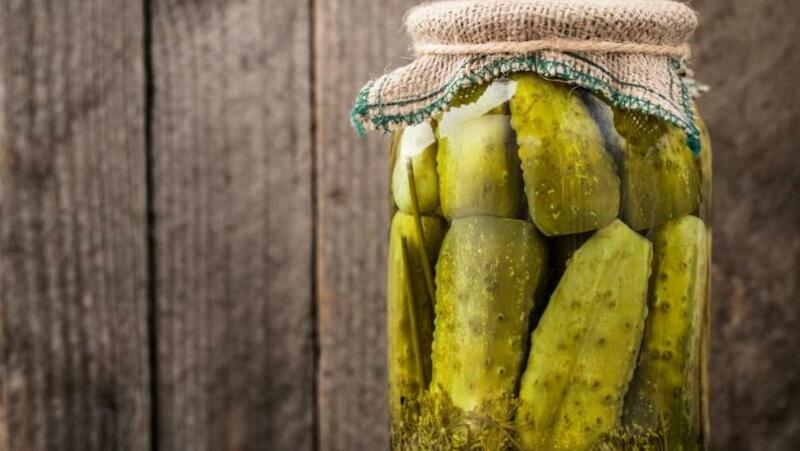 Concerns with pickle juice arise when looking at how it may raise the blood levels of sodium and potassium to an unhealthy and unsafe extent. But, this is only a problem when you drink too much - a few sips won’t do any harm. It's important to note that pickle juice is not the only key to treating cramping. Stretching and hydrating is very important too. You should aim to drink at least half of your body’s weight in fluid ounces. Athletes who sweat heavily should also aim to incorporate sports beverages containing sodium and electrolytes. Although pickle juice as a solution to muscle cramps is still just a theory, the next time you experience muscle cramping you may want to give it a try. For more details on this topic, check out Molly's full article on nola.com.